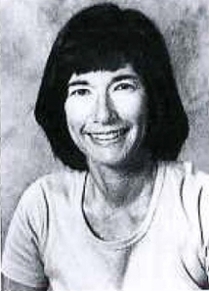 Eleanor Kaplan began her career at Purdue University as the Business Administrator in the Education Department in 1979. She transferred to the School of Management in 1981, where she spent the rest of her career as a Business Administrator. Eleanor has left each of us who knew her with the legacy of her positive and cheerful attitude and the importance of customer-valued service. Through the generosity of a number of donors, we are able to honor the memory of Eleanor and the legacy she has left by recognizing current Administrative and Clerical staff in the Business Management organization who have demonstrated excellence and leadership in providing customer service. Recipients of the award will receive a $300 cash prize, have their names engraved on a plaque displayed in Freehafer Hall, and be recognized during an award ceremony. Two/Three awards are made each year, to both Administrative and Clerical staff. If you have trouble accessing this page because of a disability or need assistance, please contact Employee Training and Development.